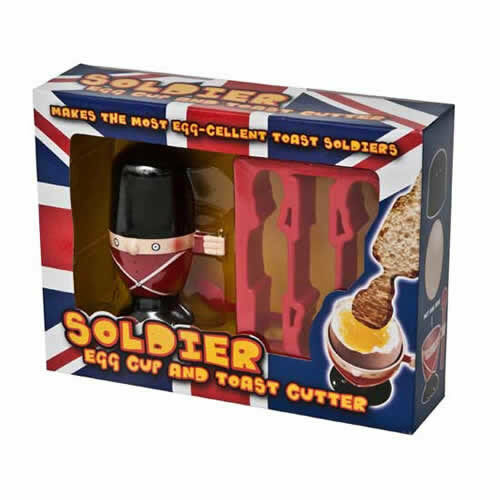 Best range of soldier egg cup and toast cutter. 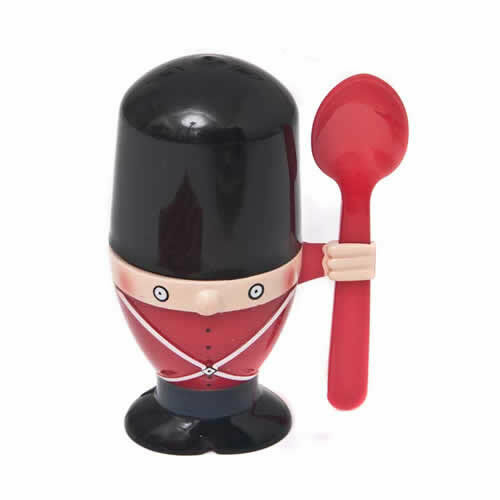 "Makes the most egg - cellent toast soldiers"
Novelty Soldier Egg Cup & Toast Cutter. 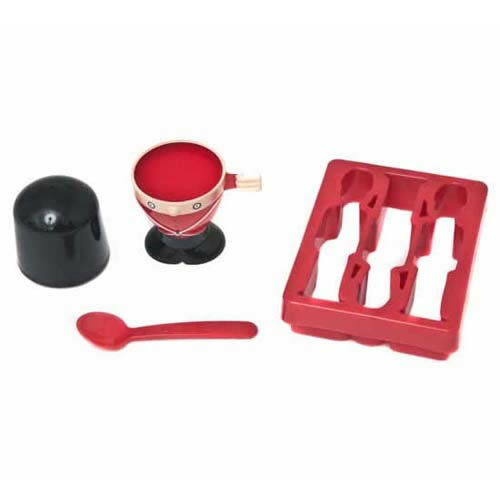 Making a mess in the mess with your boiled eggs? Soldiers not standing to attention? 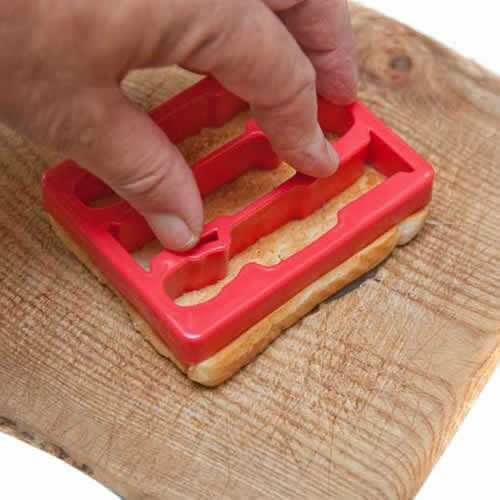 Fear not the answer is here â?? 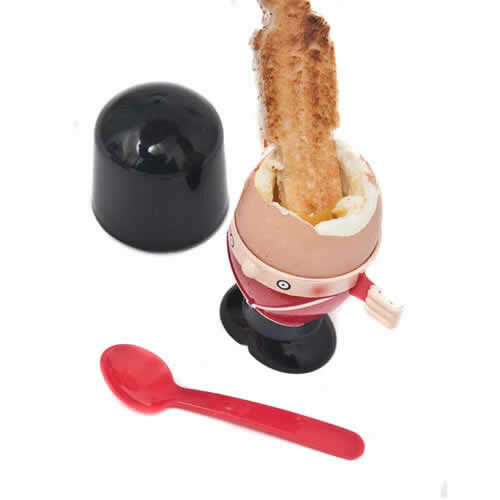 The Soldier Egg Cup & his trusty platoon of toast soldiers. 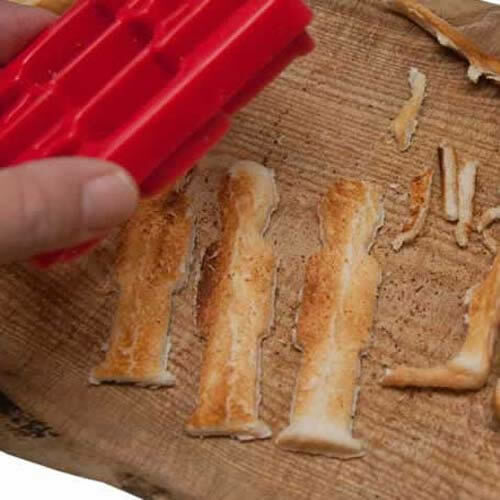 Use the toast cutter to assemble your toast army!